There’s no simple formula when it comes to creating the killer headlines that are going to catch the attention of your readers and make them want to know more. But the unfortunate truth is that you’re trying to cut through the noise of millions of websites and blogs in order to gain the notice of targeted readership. And in order to do that you not only have to offer the quality content that your audience craves, but you have to find a way to convince them you’re the best choice in the incredibly small space provided for the headline. How can it be done? In truth, there’s no surefire way to craft perfect headlines. But you can take steps to put your best foot forward by following some simple guidelines. And with time and practice, your skills at assembling headlines that readers find compelling enough to dig into the meat of your article will improve. Here are just a few tips and tricks that will have you churning out literary gold in bite-size segments in no time. The main thing to keep in mind when crafting a headline is that it must be relevant to the content it leads into. Sure you can get the attention of readers with a headline like “Michael Jackson Seen in Florida Lunching with Elvis Presley” or “How to Get a Phone Number and a First Date without Breaking a Sweat”. But if the article that follows details your role in the aerospace industry or offers a tutorial on how to clean a water heater, you’ve lost your audience, and probably irked them in the process. Of course, these are extreme examples. It’s much more likely that you would merely fudge the headline to take advantage of trending topics. But if readers feel like you’re jerking them around or misleading them in the slightest, they’re not going to be happy about it. There’s more to creating magnetic headlines than simply teasing your audience with something amazing. You have to find ways to make headlines both informative and compelling if you want to hook readers and then satisfy their curiosity. Let’s be honest: it is imperative that the few seconds your visitors devote to reading a headline are not wasted with an unimpressive lead-in that leaves them scanning for the next thing. The amount of time you have to make an impression is limited, so your headlines absolutely have to grab the attention of readers. But before you leap to shock and awe or trending keywords, keep in mind that you also need to cater to the wants and needs of your audience. If you run a gardening website, for example, it probably won’t do you much good use celebrity name-dropping. Unless Beyonce is growing award-winning azaleas, adding her name to your headline is not going to engage your readers, regardless of how popular she is. They want to know how you’re going to help them get rid of the aphids on their roses without using chemical pesticides. And if you can convince them with your headline that you have the answer if they just keep reading, you’ll have them hooked. Creating a headline is a process. Some people do it before writing the article as a sort of compass to keep them on track. Others save this important task until the end to make sure that the headline fits the finished product. But whatever your particular process, you must take the time to do the job properly. This generally requires you to take part in a brainstorming session whereby you come up with multiple potential titles. You’ll probably end up blending several attempts during the editing process, and it’s not a bad idea to keep a thesaurus handy to come up with just the right words to evoke the connotation you’re shooting for. You may be keen to use a play on words in order to create a double meaning or say something witty and amusing with your headline. But rather than going with the first title that pops in your head, you need to take time to ensure that it’s really the best headline to convince readers to move ahead with your post instead of moving on to something else. This is an extremely vague proposition. And yet, if you can find ways to make readers care and attract them on a personal level with your choice of headline, there’s a good chance that they’ll keep reading, which is exactly what you want. This will, of course, require you to build a rapport with your readers, so it could take some time to pinpoint exactly what they want. But the industry you’re in and the content you provide should give you a springboard when it comes to determining whether readers are seeking honesty, sympathy, sincerity, melodrama, sarcasm, or something completely different. Maybe they want tutorials, behind-the scenes dirt, or the latest industry news. 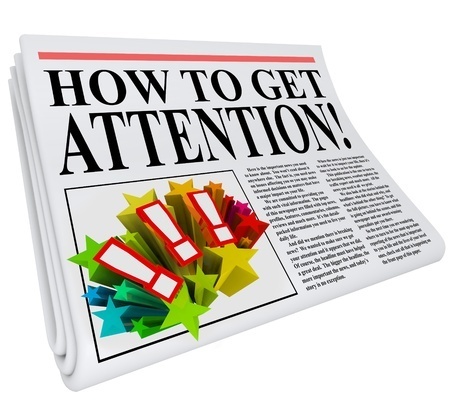 When you know what your readers are looking for it can help you to cater to their wants with the headlines you create. And if you need a place to start, think about what might interest you. There are so many tools out there for tracking your efforts to connect with your audience that eventually, coming up with blog topics or content for your website should be no sweat. And metrics can help you to determine the value of your headlines, as well. It may not necessarily relate to your overall content marketing strategy, which is more concerned with building your brand image through the quality and relevance of your content. But tracking tools can definitely offer you information about which headlines are attracting readers, how many people who view the headline continue reading the article, and how long they stay on the page, just for example. It’s not like newspapers that run a headline and never know the impact it has. When you operate online you have the tools you need to track such information. And you can use this data to determine which headlines are hits and which are misses. With enough data you should be able to come up with something of a formula concerning the preferences of your readership. There are no guarantees, but putting some thought and research into the process of crafting headlines could certainly help you to create the magnetic and compelling hooks that make your audience want to read more. Previous Post: Domain Authority Vs. Page Rank: Which Metric Is More Relevant?